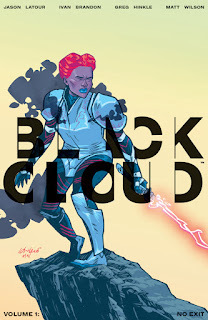 Writers Ivan Brandon (DRIFTER, Wolverine) and Jason Latour (SOUTHERN BASTARDS, Spider-Gwen), artist Greg Hinkle (THE RATTLER, AIRBOY), and colorist Matt Wilson (THE WICKED + THE DIVINE, PAPER GIRLS) will release a trade paperback collection of the first arc in their darkly ethereal fantasy series BLACK CLOUD this October. From the creators of Spider-Gwen, SOUTHERN BASTARDS, DRIFTER, and AIRBOY, comes a new fantasy where heroes are hard to find. Zelda's about to start a war of dreams. In the days when story and reality were one, the old blood—people with the power to shape stories—built a new world to escape the future we all came to live in. Generations later, Zelda rejects the old blood's dreams and escapes into our world to run from destiny. But destiny has a nasty way of catching up to you. 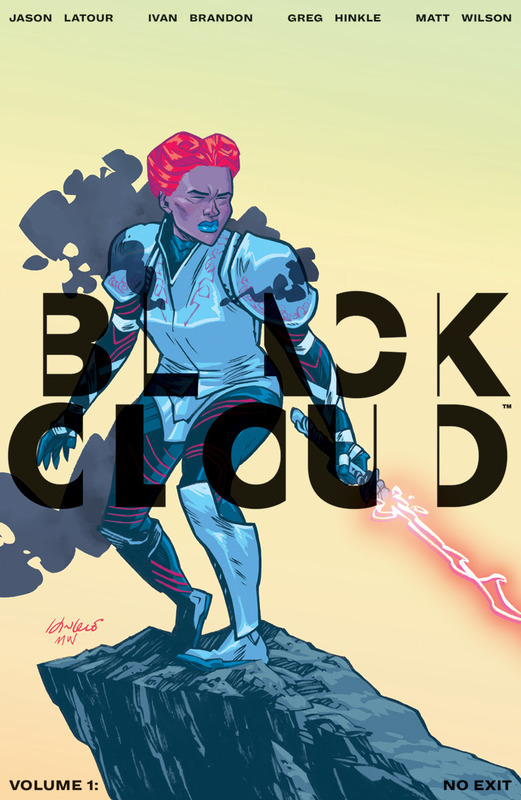 BLACK CLOUD, VOLUME 1: NO EXIT (ISBN: 978-1-5343-0328-7) arrives in comic book stores Wednesday, October 11th and bookstores Tuesday, October 17th. BLACK CLOUD, VOLUME 1: NO EXIT is available for preorder via Amazon, Barnes & Noble, Indiebound, and Indigo.